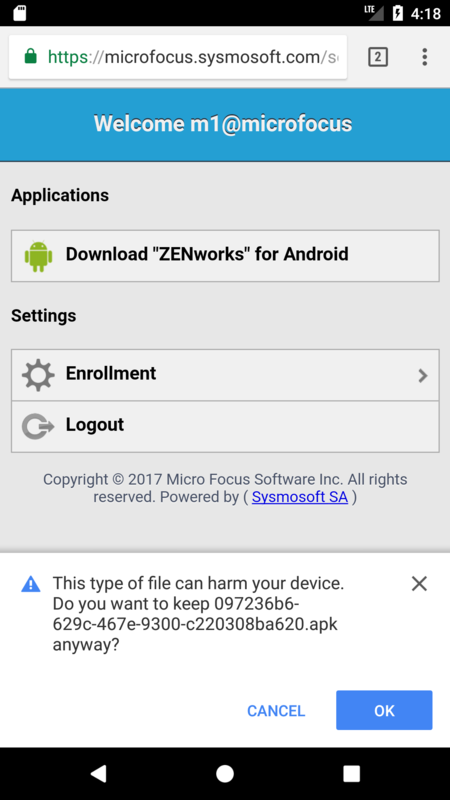 Aim of this document is to guide you through the installation, updating and deleting of ZENworks Mobile Workspace Android application. 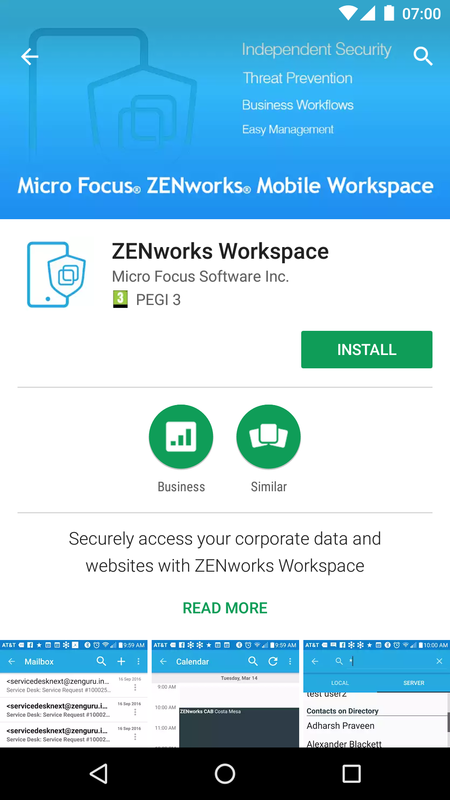 Start the Play Store and search for ZENworks Mobile Workspace. Then touch INSTALL to start the download and the installation process. 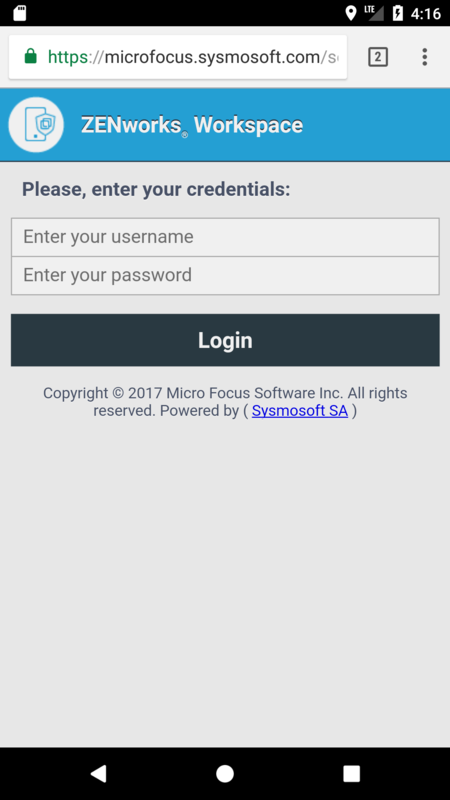 When the download is completed, the ZENworks Mobile Workspace application should be available. 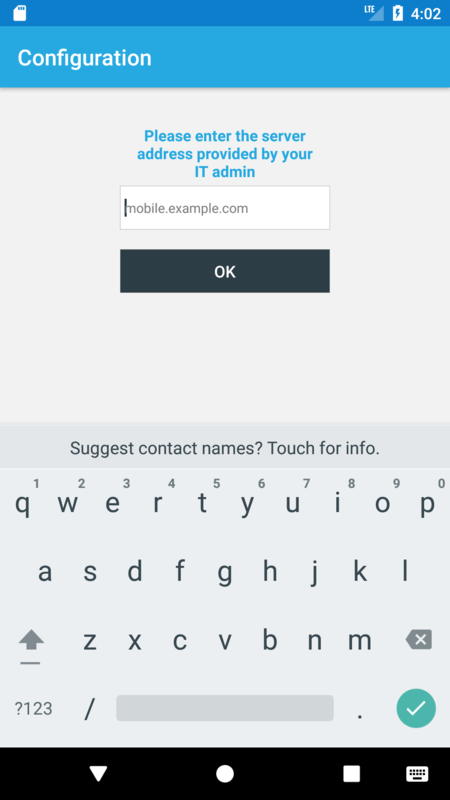 With your Android device, open your browser and go the address provided by your company. You will be presented with login page. 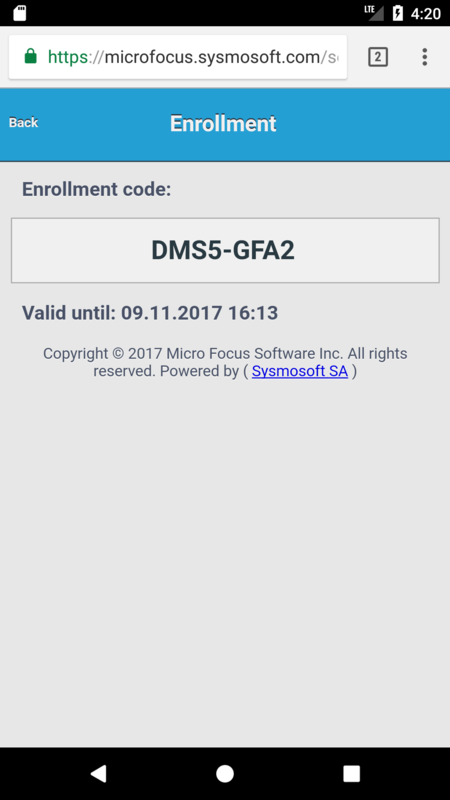 Enter your credentials. 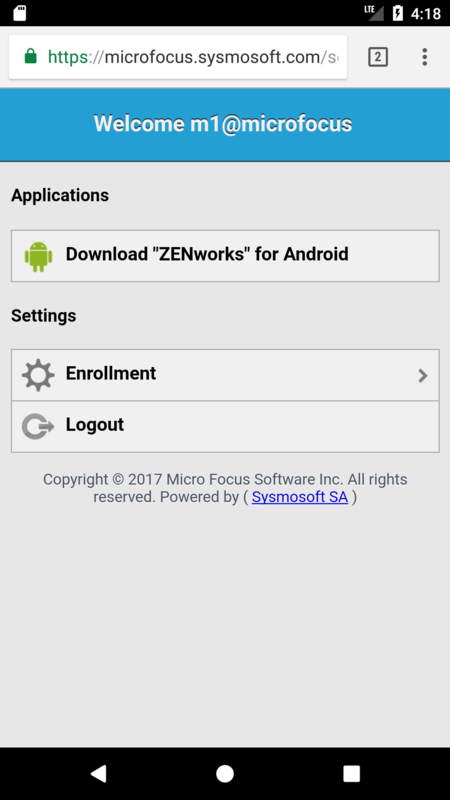 Touch Install "ZENworks Mobile Workspace" for Android will show information popup to confirm the installation. 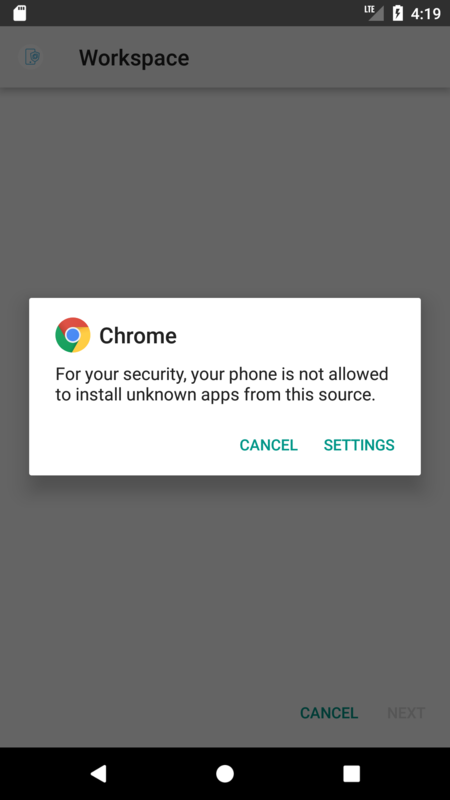 Touch OK to confirm that you want to download the application. 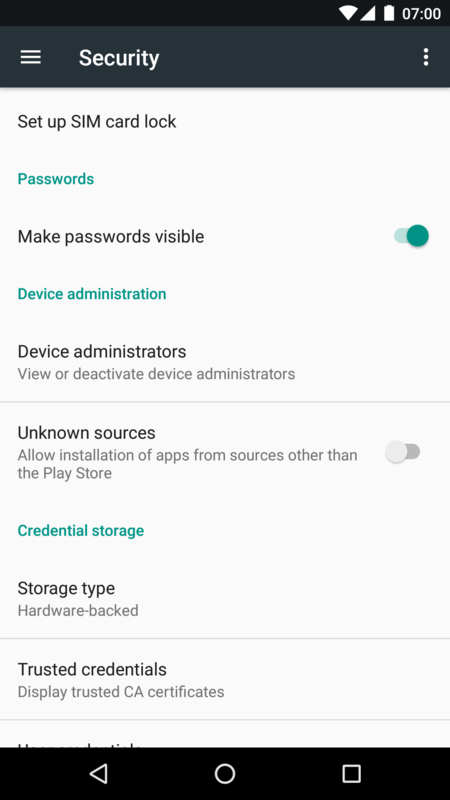 If a security alert is displayed after opening the downloaded app, you will need to open device security settings. To get your enrollment code, log in to the distribution server. 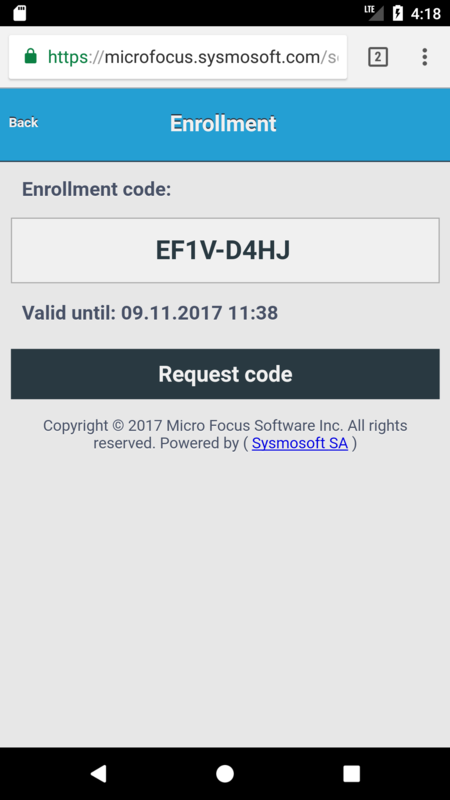 You see your enrollment code. 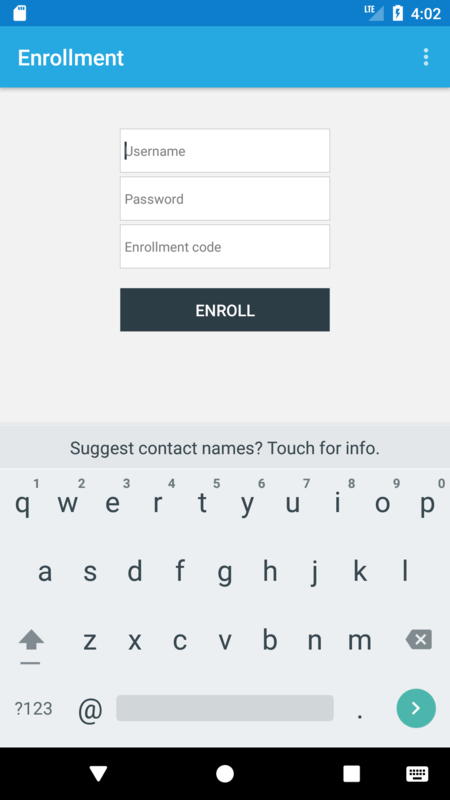 If for any reason the user is not able to enroll and login anymore even after IT admin action, disenrollment could be used at last resort. 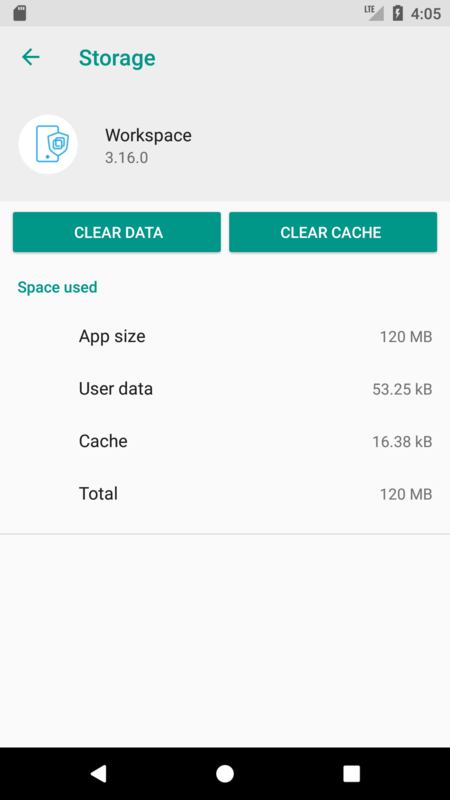 You need to erase application’s data. 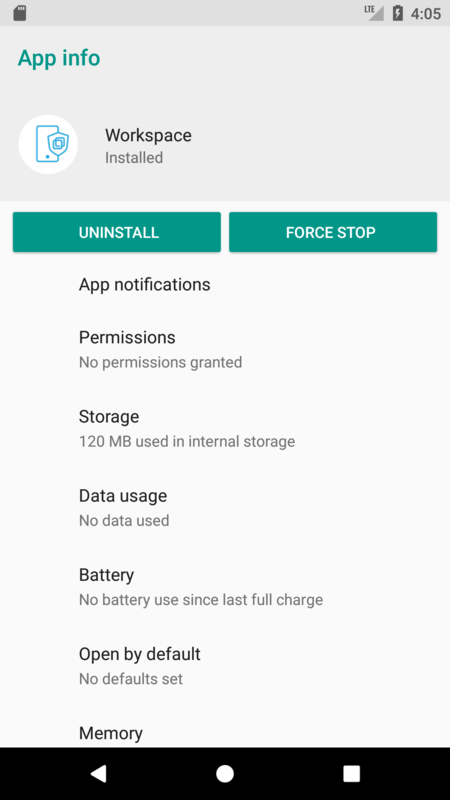 Long press on your application icon. When you restart the application, you will be requested to start the enrollment process.